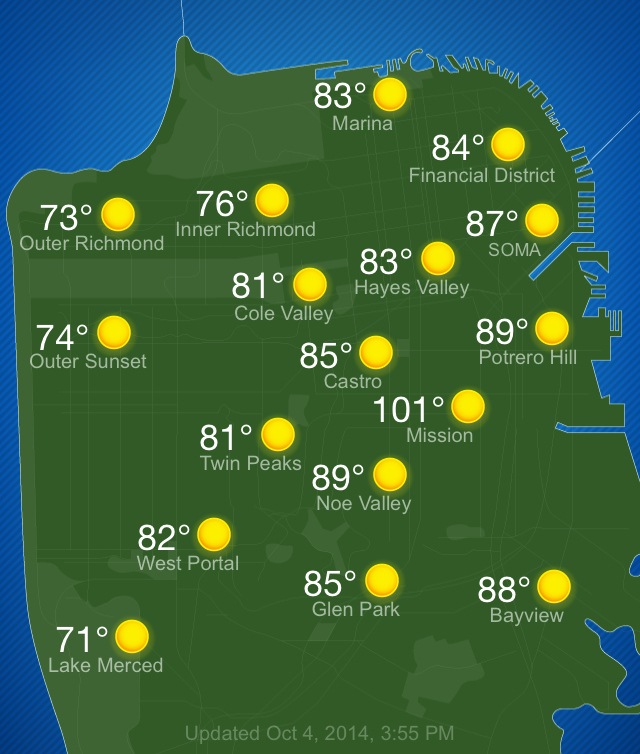 You guys, it hit 101 degrees in the Mission! I knew it! Thanks for the screenshot, Erin! Does anybody have a screenshot that proves it hit 100 degrees in the Mission?